Colorado Springs DUI Attorney | Anaya-McKedy, P.C. DUI arrests and charges can be upsetting. This is especially true in light of the fact that DUI laws and penalties in Colorado continue to get increasingly harsh. There are, however, ways to fight DUI charges and achieve favorable outcomes to these cases. If you or a loved one has been charged with a DUI, the sooner you partner with an experienced DUI attorney at Anaya-McKedy, P.C., the sooner you can be confident that you have a skilled, aggressive advocate in your corner, ready to fight for you and defend your rights at every step of your case moving forward. Arrested for or Charged with a DUI? We are available 24/7 to answer your questions, help you understand the two cases ahead of you and protect yours rights in both cases. We can meet you and/or a loved one at jail or our Colorado Springs office. We can also discuss your case over the phone. DMV DUI case1 – Also referred to as an “express consent” hearing or action, the DMV administrative case is a civil proceeding that only looks at your driving privileges and whether you should be able to keep them after a DUI arrest. If you do not request this hearing within seven days of your arrest, you will automatically lose your license. If you do request this hearing, you will have the opportunity to argue why you should be allowed to keep your driving privileges, and that determination will be made by a Hearing Officer from the Department of Revenue. Criminal DUI case – The criminal case will determine whether you are guilty or not guilty of the DUI charges you face. These cases may end in a dismissal of charges, plea deals or trials. Convictions or plea deals can result in various penalties, like fines and possibly jail time. The attorneys at Anaya McKedy, P.C. can effectively and vigorously defend you in both of these cases. Zero tolerance for underage motorists, with a BAC as low as 0.02 typically being sufficient to trigger DUI charges. A 0.08 blood alcohol content (BAC) limit for drivers who are over 21 and who hold standard drivers’ licenses. Colorado DUI laws also set forth different penalties based on the accused person’s BAC and whether (s)he has any prior offenses. The table below highlights the penalties for different types of DUI-related charges. *If a work release program is included in the sentence, the minimum required jail time is 120 days, and the maximum is 2 years. A 3-year license revocation for third-time refusals. A previous DWAI may be counted as a DUI in a subsequent case, for the purposes of filing charges and imposing a sentence. Aggravating factors, like accidents and injuries, can result in harsher charges and penalties. Colorado does not have a “lookback” or “washout” period. This means that all prior DUIs will stay on your record, regardless of how long ago you got them, and they can be counted as priors for the purposes of filing new DUI charges and/or handing down a sentence. The attorneys at Anaya-McKedy, P.C. have more than 30+ years of criminal trial experience and have tried numerous DUI cases. Violations of the accused person’s rights during or after the arrest. Put 30+ Years of Criminal Law Experience in Your Corner: Contact an Experienced Colorado Springs DUI Lawyer at Anaya-McKedy, P.C. 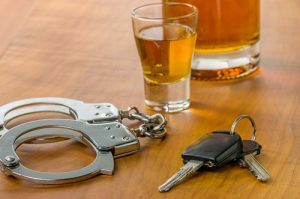 Whether you have been arrested for or charged with a DUI, call (719) 227-0007 or email us to speak to a trusted Colorado Springs DUI lawyer at Anaya-McKedy, P.C. Initial consultations are free and confidential. Put your case, freedom, reputation and future in the hands of our experienced lawyers. We will fight for you and work relentlessly to achieve the best possible outcome. We will also treat you with the highest level of respect and professionalism. Whether you are facing a DWAI, a misdemeanor DUI or a felony DUI case, we understand that your case is likely the most important thing in your life, and we will treat it as a matter of the utmost importance. Our extensive experience and record of success in DUI (and other criminal) cases have earned us many professional honors, 5-star reviews on Facebook and Google, and the respect of colleagues, local judges and prosecutors.